Within China we’ve become accustomed to talking about the future opportunities within lower tier cities. Rapid increases in disposable income, ongoing urbanization and recent availability of modern retail formats are often cited as reasons for FMCG manufacturers to increasingly prioritize these lower tiers. But with all this talk of future opportunities are we aware of the opportunities that are around today? Have manufacturers already missed the first to market advantage? And, do we really understand how lower tier consumers behave and where the best opportunities lie? 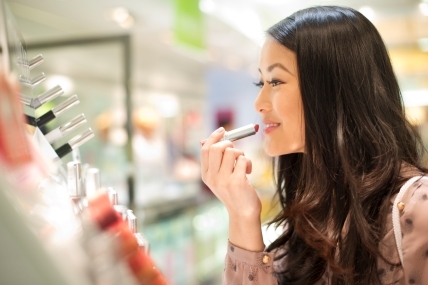 Kantar Worldpanel’s usage and purchase panels are able to provide a unique understanding on the current status of beauty habits across China – finally dispelling some of the myths surrounding the lower tier consumers. The conventional category development model that we have become familiarized with is that women in Key cities1 have the most advanced beauty regime while women in C/D cities have the least developed. We do see some evidence for this; women in Key cities DO have the most extensive regime – using on average 8 care products every week. Specifically we see their usage of more developed cleansing formats like Shower Gel, Facial Cleanser and Liquid Hand Wash is far beyond those of their lower tier sisters. However despite these notable examples, we see remarkably little difference between women’s regime through the city tiers. The gap between most developed and least developed regime is only 7% in number of categories used. And what is further surprising is that if we look at some emerging facial care products – eye, toner, serum – they are MORE popular amongst lower, C/D tier women than for Key or A tier women. Within toner we see the increased development in lower tiers being driven by wider usage across all generations, with groups of traditionally lesser importance to manufacturers already showing high rates of usage. Younger women (16-25) and older women (46-55) are both more likely to use toner within lower tiers whilst amongst the core beauty users (26-45) there are relatively little differences between tiers. Part of the explanation behind wide usage of these advanced categories lies in the availability of lower priced brands. In comparison to shoppers in Key cities, consumers in C/D tiers spend about 30% less per shopping trip on categories such as Toner. Domestic brands like Pechoin and Danzi’s higher presence in lower tier provide an attractively low entry point for lower tier shoppers. We’ve seen how women in lower tier already have developed beauty regimes – so where are the opportunities for manufacturers in lower tiers today and how can they realize them? While women are using similar categories in lower tiers they choose a radically different kind of brand from a radically different retail environment. In face care, domestic economy brands (such as Dabao) account for only one in four of all key city usage occasions compared to one in two in C/D tiers. This highlights the category development potential in trading up but also the importance of manufacturers having a broader portfolio of brands specifically tailored to lower tier consumers if they are looking to succeed with all consumers. Currently only domestic manufacturers (or domestic acquisitions) have the right range available to reach a lot lower tier consumers. Entering women’s consideration set requires being available at the point of purchase and as we see across FMCG categories, this requires a very different distribution model in lower tiers. Channels like cosmetic stores (predominantly small independent outlets) are important in lower tier. Gaining distribution through these disparate outlets can be very challenging and may not be a viable opportunity for manufacturers who are looking to maintain close control over their brand’s in store theatre. With the rapid emergence of online, and the continued development of modern trade, we can expect the global brands to increase their presence in lower tiers although they face fierce competition from the likes of Inoherb. One key difference in the competitive set in lower tiers is the example of direct sales. Direct sales have been very successful in getting lower tier shoppers to both expand regime and spend more on premium products. While the average cosmetic store shopper in C/D tiers spends about 220 RMB/year on skin care products, an average direct sales buyer spends 540 RMB. This clear demonstration of the potential within lower tiers also has implications for manufacturers who will be both competing with and learning from the strategies employed by direct sales operators. Personal interactions are important and ensuring that consumers are provided the correct education and brand introductions at the point of purchase can be effective to succeed in lower tiers. As hypermarkets continue to expand their reach, use of brand specific counters can allow the multinationals greater personal access to women in lower tiers. Building close relationships with the trade and ensuring that brands have the correctly trained representatives have a big role in category development. While women show that lower tier assumptions are no longer valid, for men there is still a large role for city tier specific, category development strategies. Men in Key cities lead the way across all categories using at least one additional care product every week in comparison to men in other tiers. The difference is most marked in the facial care market where aggressive marketing has already developed men’s regime far beyond that of European peers. In key cities, 2 in 3 men use a facial cleansing product and 12% of men use toner within an average week. While we see that in Key cities manufacturers need to prioritize the premiumisation of the market, getting men using more expensive male specific products, within the other cities in China the strategic focus remains category conversion. Outside of key cities there is little difference in men’s regime; those living in A, B or C/D tiers all have similar beauty habits. This suggests a need for a two pronged strategy; premiumisation in ‘Key’ versus regime expansion in ‘A/B/C/D’ tiers. First To Market Advantage Already Gone – As women in lower tiers already have an advanced care regime; manufacturers can no longer base a city tier strategy about driving category trial. Smaller, cheaper, local brands are widely used across advanced categories leaving the next opportunity in ensuring consumers are correctly educated in usage, recognize the correct functional role in each regime step and trade up to more premium brands. Unique Channel And Portfolio Strategy Required – Reaching these users requires a very different strategy to that which has historically worked in upper city tiers. With wide access to the internet and ATL communication generally reaching across tiers – lower tier users are already exposed to information on the major brands. However at the point of purchase, the ‘moment of truth’, the multi-national brands are struggling given their lack of availability and control within the dominant local, multi-brand cosmetic stores. E-Commerce’s rapid emergence provides an excellent opportunity to reach these consumers while engaging them with brand proposition and equity, but with only 14% of shoppers currently buying their skincare online it does limit the audience. Manufacturers may need to launch a lower priced, lower tier specific brand where they relinquish some control over distribution and pricing in order to gain wider access to local cosmetic store formats. For Men Go Deep And Be The Category – Outside of Key cities, males’ habits are still emerging leaving brands with potential to become the heritage brand in a category. Given the limited regime and seasonal nature of men’s face care usage, education is crucial in category development. Key cities refer to Beijing, Shanghai, Guangzhou and Chengdu; A cities refer to the provincial capital cities; B cities refer to prefecture-level cities; C/D cities refer to county-level cities and county.